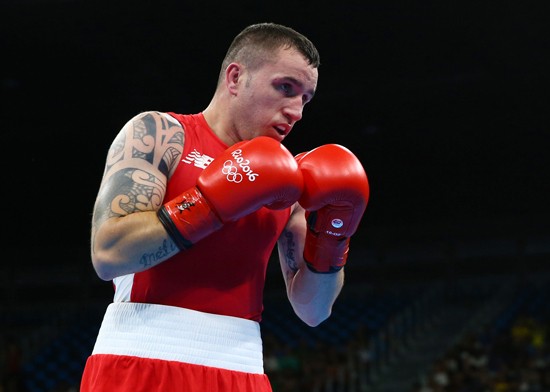 Irish Olympic Lightweight star David Oliver Joyce will make his highly-anticipated professional debut at Belfast’s Waterfront Hall on June 17th, live on BoxNation. Joyce, 30, enjoyed a hugely successful amateur career, competing in the World Series of Boxing for three seasons, winning European Gold in 2009 and representing Ireland at the 2016 Olympic Games in Rio. Mullingar man Joyce becomes the fourth member of Ireland’s Rio Olympic team to join the paid ranks, following in the footsteps of Paddy Barnes, Mick Conlan and Katie Taylor. Now he’s in training mode ahead of his debut in Belfast and he can’t wait to showcase his ability on an unmissable card that features Irish hero Barnes fighting for his first professional Title in the WBO European Flyweight strap. “The last two BoxNation shows in Belfast looked great, there have been some top boxers in action and I want to show people how good I am on the big stage,” Joyce said. “Every boxer dreams of working their way to the pinnacle of the sport and I believe that I’m good enough to join the elite in the Lightweight division. Ticket information for this event will be released in the coming days.